Stockton continues study of Longport Fire Dept. 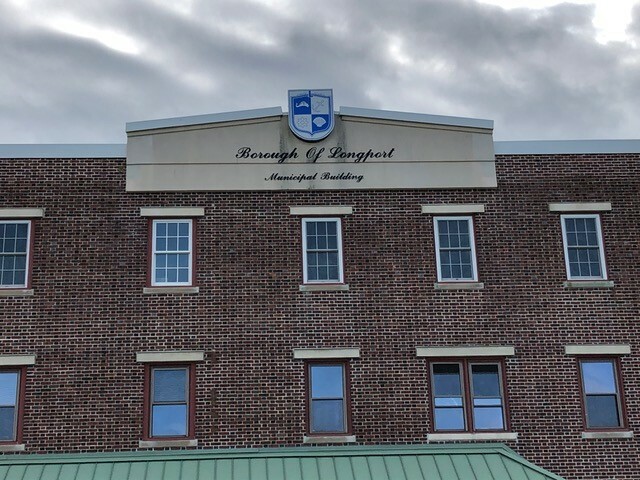 LONGPORT – A graduate student at Stockton University is continuing an investigation into the make-up of the Longport Volunteer Fire Department. The report produced will allow borough commissioners to decide if something should be done to reorganize the department, according to Mayor Nicholas Russo. The borough commissioned the report last fall, asking Stockton University Office of Research and Sponsored Programs to conduct an analysis of the department and suggest ways to provide effective services to the community. Although the department has good response time for fire and emergency medical services – 4 minutes, while the county average is 10 minutes – those who are responding to alarms at 2 a.m. are firefighters in their 60s, Russo said. Russo commissioned the report because the department, which was established by volunteers in 1912, has changed over the years and fewer young people are joining the department. The report, which will be completed by the end of the spring semester, could result in a recommendation to combine volunteer and paid services to ensure the borough is properly covered, he said. 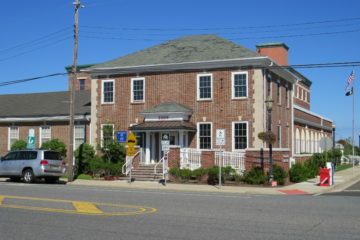 The department already employs “duty crews” from 7 p.m. to 7 a.m. on the weekends during summer to ensure proper coverage when there are thousands more people in the borough. The crews receive a small stipend, and the spots are filled by the same volunteers all the time, he said. 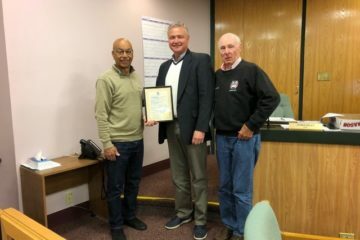 In other business, the Board of Commissioners heard a report from engineer Richard Carter who said the borough should consider funding water and sewer infrastructure improvements in this year’s capital bond issue. “We won’t know how much to bond until we know how much it will cost,” to install a new well and upgrade the plant, Carter said. He said he would work on the permitting needed to make the improvements, but a consultant may need to be contracted to outline all the improvements needed and their estimated costs. Any bonding would affect utility rates, he said, but the last time the borough raised utility rates was about 10 years ago. Carter also said the lawn watering restrictions implemented last year resulted in a reduction in revenue in the utility account. He said the borough’s utility clerk will prepare a report on how much revenue has declined. The ordinance restricting lawn sprinkling to odd and even days was approved to reduce water consumption and extend the life of the borough’s aging water system, which could cost more than $2.5 million to replace. Although water supply is available, delivering water to much larger homes with multiple bathrooms and in-ground sprinkler systems stresses the system during the summer months. Residents are allotted 75,000 gallons of water each year, but some residents are consuming that amount in three months or less, much of it from in-ground sprinkler systems. Because Longport allows residents to exceed the allotment and pay a separate rate for additional usage, some Longport property owners consume more than three times their yearly allotment, and in some instances, as much as eight times.